Last week Kent Business School’s Dr Fragkiskos Fillipaios presented the outcomes of his study on the internationalisation of Kent businesses, undertaken on behalf of Kent County Council and its EU Funded ‘SME Internationalisation Exchange’ project, at a KBS Business Soundbites event. Over 70 representatives of local SMEs and government attended the presentation and informal networking session in the School foyer afterwards. The report, which was the follow-up to a similar study undertaken in 2010, looked at current degrees of internationalisation in Kent businesses as well as their international trade expectations following UK’s exit from the European Union. The study found that, whilst businesses are looking increasingly to trade internationally, they still lack access to international partners, have low in-house expertise and limited knowledge of available government funds to support international trade. With the vast majority of international trade taking place with European countries (84% of Kent businesses identified the EU as their key market), Kent businesses generally feared Brexit would lead to trade barriers and restricted access to the European market. There was also a great deal of concern around staffing gaps due to stricter rules surrounding immigrant labour and a less competitive position within Europe because of the dependency on imported raw materials in combination with a weaker pound. Fortunately, there is wide range of business support available in Kent, though it is not always clear to firms what kind of expertise specialised government organisations and business platforms offer. Smaller businesses in particular often lack the resources and time required to investigate. Questions from the audience reflected Dr Filippaios’s conclusions, with great emphasis on the need for funding expertise and active local government involvement in ‘selling’ Kent to Europe. Steve Samson, Trade Development Manager at KCC, confirmed that, in Kent, support going forward will continue to focus on facilitating access to European business partners through several projects that are up and running: ‘It is great to see that Fragkiskos’s recommendations echo the business support programmes and plans currently in the pipeline from Kent County Council and its partners’. 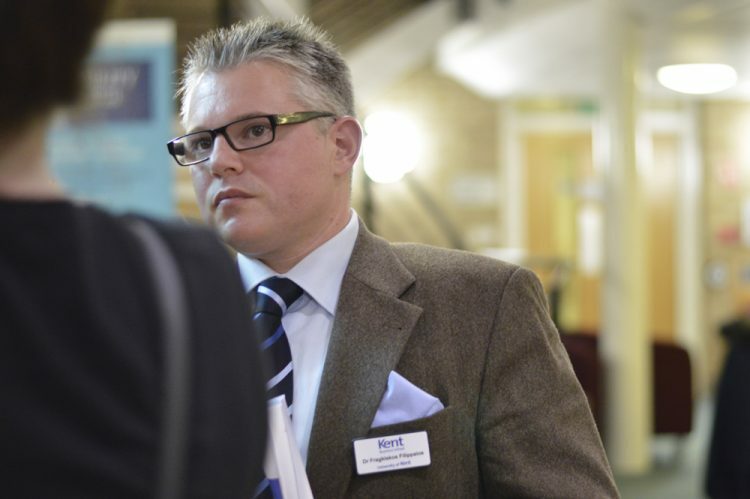 Kent Business School will keep a close eye on economic implications of Brexit for local and regional business, with a number of Brexit-related topics planned for its upcoming Business Soundbites events. For more information, please go to our webpage.